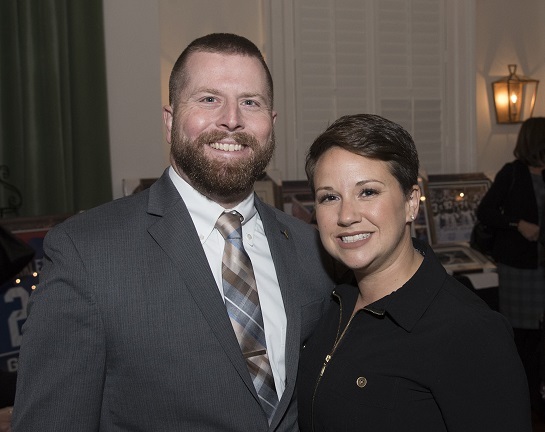 TruView is a proud sponsor of the 6th Annual United Veterans Beacon House Veterans Salute Gala Event, which raised $280,000 in support of the organization’s housing- and community-based programs for veterans and their families. This year’s Gala took place on October 18th at the Heritage Club in Bethpage, New York, with 445 veterans and Long Island supporters in attendance. Founded in 1994, the United Veterans Beacon House is headquartered in Bay Shore, New York, to honor those who have served to protect our nation and help support them in the challenges many face every day. Beacon House provides a variety of essential services to veterans. On any given day, over 255 men, women, and children from the New York Tri-State area benefit from programs that address homelessness, physical disabilities, post-traumatic stress disorder (PTSD), traumatic brain injury, mental health issues and addiction. Non-veterans, too, have access to housing, drug/alcohol addiction services and job skills/readiness development programs. The organization provides housing in 42 residential facilities throughout Nassau and Suffolk counties in a safe and structured living environment, along with access to such services as case management; transportation for medical visits and appointments; coordination of mental and emotional counseling, education, and job placement programs and services; and referrals to appropriate agencies for assistance with entitlements.